Canadian developer of gambling software both for online casinos and ground-based casino establishments Amaya Gaming is considered to be one of the best developers in the international gambling market. In addition, Amaya Gaming offers software for casinos with live dealers, in live format, as well as software for betting websites and online poker. The company recently bought the brands of Chartwell and Cryptologic, and now its portfolio is significantly expanding, as Amaya constantly supplies its partners with its solutions. Considering the fact that Amaya Gaming casino software is a single package of high-quality products that match all the players’ wishes, one can conclude: the company is incredibly popular and wins against its competitors in many respects. High and reliable quality of software. A wide and diverse range of popular free slot games. Each client can adapt all the programs in the way he wants. The presence of a single service that manages progressive jackpots. Support service in over twenty languages. A large number of currencies from different countries. Availability of all popular payment services. Favorable loyalty system for players. Availability of both PC and mobile flash versions. A flexible gaming platform for online casino manufacturer is also ready to integrate to the websites of its partners, for example, developers from Novomatic, Aristocrat, etc. Features of the software of Amaya casinos are very high and deserve special attention, because casino software of this developer enables operators to include in their assortment whole series of exciting games. In total, the library contains more than three hundred different modern games on various topics and with fascinating plots. More than 24 types of table games and a lot of card games such as roulette, poker or blackjack. Many types of gaming machines. High-quality video slots available both for download and in a flash format. Live casino with the ability to play in real time mode. In addition, instant lotteries can be added to the list of games, so beloved by citizens of all countries. The developer replenishes his game collection with new games, constantly improving the game software for online casinos using innovative technologies that make games much better and bring success to the players. Simultaneously with the development of new games, specialists are engaged in the production of mobile versions, which are so popular among players in recent years. The gaming platform for online casinos and mobile technologies make online casino games more convenient, and users are attracted by the quality and comfort. 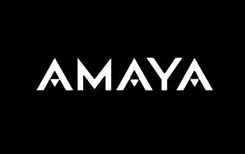 A separate thing we would like to mention is live games developed by Amaya Gaming professionals. The company’s own studio, from which these games are broadcasted, is located in Estonia and is perfectly equipped, so online casinos that integrate these games have the opportunity to receive users who prefer a live format. During the game, the user sees a “live” croupier – usually a young, slender and pretty girl, whom you can communicate with. Dealers speak several languages, have an attractive appearance, are dressed perfectly, they behave accordingly to the etiquette of such an enterprise. With all their behavior the girls and (sometimes) guys encourage the player to bet, and, of course, such live casinos benefit in many respects in contrast with the usual ones. It can also be noted that these croupiers receive specialized training from professional trainers from the Asian “sin city” – Macau. Live casinos from Amaya Gaming functions without lunch breaks and are available even at night, so players can come round the clock. Soft for the casino broadcasts games on the monitors of computers and mobile devices, and the image is always of high quality only, and you don’t need to download the software – it will be played immediately, without downloading. An important point is the player’s ability to watch every gesture of the dealer on the screen, in the enlarged format, and in fact the dealer’s hands are considered to be the face of the casino, because honesty is very important and fraud is just impossible. Users are invited to play live roulette and famous card games like poker of different types, blackjack and others. Visitors can play simultaneously in two or more games. Each player can customize the functionality for himself. Each client can choose a language that he understands, a table, a screen and, of course, a live dealer. In a live casino there is a huge variety of types and amount of bets. Place at the table can be booked in advance or you can wait until it is free, spending time at another game. There is an opportunity to play in demo mode. Amaya Gaming has gambling licenses from several respected jurisdictions, including Isle of Man and Alderney, Great Britain, Gibraltar and others. All games of the company are certified and tested for best quality and honesty, the brand adheres to the rules of responsible games. Amaya Gaming’s list of partners includes a bunch of well-known companies – betting leaders on modern market, top casinos, and others, who are the strongest players in the gambling market. Such giants will bring any gambling establishment a significant income.